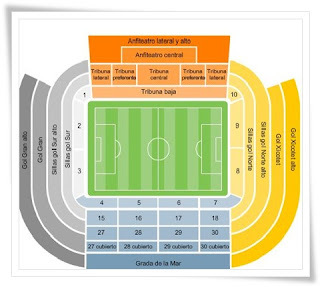 Ladies and gentlemen Valencia CF is in a world of hurt with only 24.000 season tickets sold in 6 weeks and with only 6 days remaining till the season ticket sales close its looking very grim for Valencia CF. Last year Valencia CF sold 42.500 season tickets and the plan for Llorente was to sell just as much this season, but that number is now like a dream. This is a terrible fact considering that Valencia CF reduced the season tickets prices for this season and spend a lot of money on advertising campaigns to get people to buy the tickets. So far it seems nothing has worked and its looking very unlikely that Valencia CF will reach 40.000 season tickets. For those unfamiliar with the situation, basically Spain is bankrupt and in big financial troubles, with protests and strikes every day. Years of government corruption and stealing in Spain has lead slowly but surely to the financial collapse of the country. Hopefully the people will get their country back, prosecute the criminals and fix their financial troubles.